The UK Supreme Court is considering whether to hear an appeal filed by the government over a Brexit legal challenge to be heard in Europe. 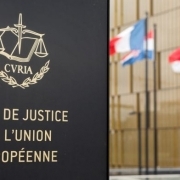 On November 27 an emergency hearing of the European Court of Justice (ECJ) in Luxembourg will examine whether a majority vote against Brexit in the House of Commons will be able to arrest the UK’s minimal progress out of the EU. The Brexit legal challenge, submitted by a group of pro-Remain MPs and campaigners, was referred to the ECJ by the Edinburgh Court of Session, Scotland’s supreme civil court. A cross-party group of Scottish MPs, MSPs and MEPs teamed with Good Law Project director Jolyon Maugham QC to bring the Brexit legal challenge, arguing that MPs should be able to vote to revoke Article 50 without the permission of the government or other Member States. They said Brexit was “not inevitable” and that allowing parliament to vote to stay in the EU could be essential to avoid a “no deal disaster”. The Court of Session initially turned down the group’s bid to refer their Brexit legal challenge to the ECJ, but after the group successfully appealed the court’s decision the case was passed to the ECJ with a request for an expedited procedure due to the time sensitivity of the issue. 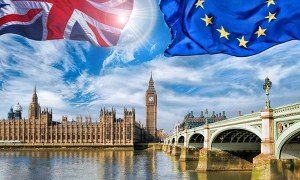 The UK government has asked the Supreme Court for permission to appeal against the Court of Session’s decision to refer the Brexit legal challenge to the ECJ, citing the terms of Article 50 of the Treaty on European Union. 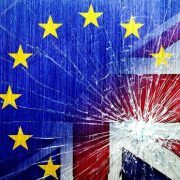 Lawyers for the Department for Exiting the European Union (Dexeu) say the issue of reversing Article 50, thereby stopping Brexit, is hypothetical as the government has declared it has no intention of doing so; and that remaining in the EU would undermine the sovereignty of parliament. London capital markets partners are anticipating a flurry of initial public offerings (IPOs) this year, ahead of the UK’s exit from the European Union in 2019. Partners says there is an impetus to start IPO processes early in order to avoid any uncertainty in the run-up to Brexit, scheduled for 29 March next year. 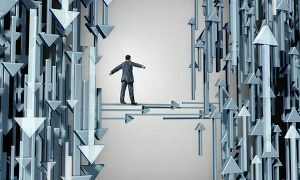 With Brexit looming, partners say the volume of deals will at least match 2017. Last year, there were 106 IPOs raising a total of £15bn in London, a three-year high – a strong increase on 2016, which saw 65 IPOs raise £5.7bn. Key IPOs in 2017 include the Irish Government’s May flotation of a 25% stake in Allied Irish Bank, which valued the group at €12bn (£10.5bn). The dual-listing in London and Dublin threw up roles for Linklaters, Allen & Overy and Herbert Smith Freehills. Meanwhile, in November, Russian aluminium company EN+ floated in London and Moscow, giving the overall business a value of $8bn (£5.6bn). It was the first major primary listing by a Russian company in London since sanctions were imposed on Moscow. White & Case acted for EN+ and Linklaters advised the banks. In April, logistics company Eddie Stobart raised £393m on AIM, the largest AIM IPO since 2005. King & Spalding acted for Eddie Stobart while Hogan Lovells advised the banks. By region, partners say the London listings are expected to come from a range of locations including Turkey – spurred on by general elections in the country scheduled for November 2019 – Greece and the Middle East. Much talk in the market is dominated by the potentially record-breaking Saudi Aramco IPO, which could value the company at as much as $2.5trn (£1.7trn). It is understood the company has shortlisted London, New York and Hong Kong for the international portion of the listing. White & Case is acting for Saudi Aramco, but further legal advisers have yet to be appointed. Other IPOs that could launch this year include UK cinema chain Vue Cinema International, which would reportedly value the group at at least £1.6bn, while its rival Odeon is also looking at a listing of a similar value. 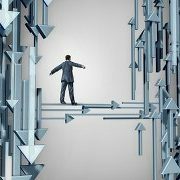 Overall, companies and investors seem more likely to take their chances sooner rather than later. 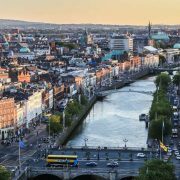 Simmons & Simmons has hired a partner from Mason Hayes & Curran to spearhead a launch in Dublin. Simmons has hired the Irish firm’s head of investment funds and financial regulation, Fionan Breathnach, ahead of the planned opening. Breathnach has been at Mason Hayes since 2003. 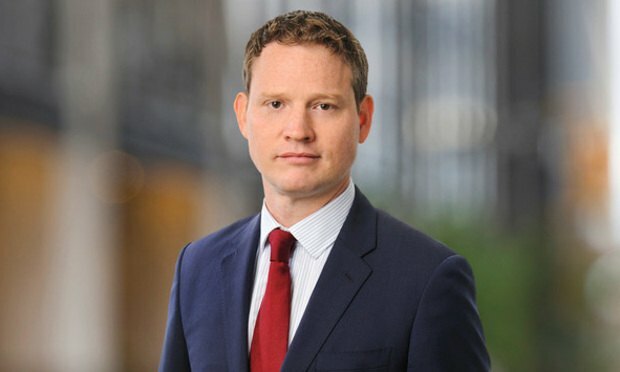 He was previously an associate at PwC legacy law firm Landwell and also spent time in-house at banking giant HSBC. The Dublin base will represent the first new office for Simmons since 2015, when it opened in Luxembourg. Before that, it launched bases in Munich and Singapore in 2013. However, it has also shut its doors in locations such as Rome in 2015 and Abu Dhabi in 2016. Simmons managing partner Jeremy Hoyland told Legal Week: “We are going to be opening an office in Dublin. It will focus initially on our asset management clients. We already service those clients in Singapore and Luxembourg but Ireland is a key jurisdiction for fund formation and it is a gap in our offering that we are keen to close. It is currently an important location and it will become more important going forward due to the referendum result. The timing and further details of the launch are yet to be confirmed, however, Hoyland said that the office could become full service over time. The Irish legal market has become increasingly attractive for UK and international firms since the Brexit vote last year. 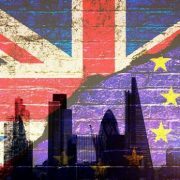 Like their major clients in the banking sector, many law firms have been examining their post-Brexit footprints to ensure they continue to have access to the European Union (EU) single market and the EU’s courts and decision-making bodies when the UK leaves the EU. Last month, Legal Week revealed that US firm Covington & Burling is currently waiting for regulatory clearance from the Irish Law Society to launch a life sciences and technology focused office in Dublin. Earlier this year, Pinsent Masons opened in Dublin with the hire of three partners from local firms, making it the first international firm to open in Ireland following last year’s Brexit vote. 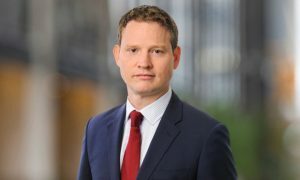 Other UK and international firms with bases in the Irish capital include Eversheds Sutherland, DWF, which hired William Fry corporate partner Ross Little last year to launch a full-service practice, insurance players DAC Beachcroft, Kennedys and BLM, US firm Dechert, and offshore firms Maples & Calder and Walkers. 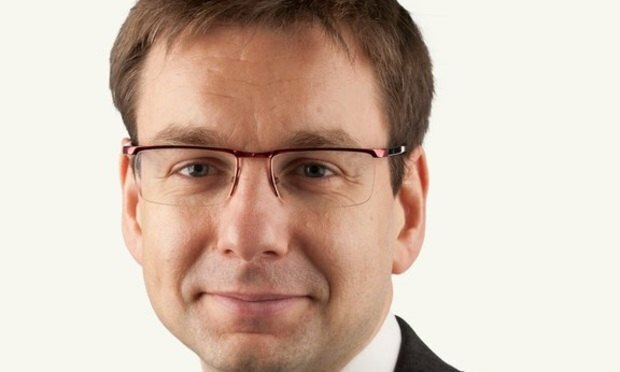 Shearman partner Barnabas Reynolds, a partner from Shearman’s believes Brexit provides opportunities for English lawyers and the UK’s courts. With Brexit now taking place, the question is no longer whether we remain or leave. The debate has moved on and it is the duty of common law practitioners in England and Wales, and their colleagues in Scotland and Northern Ireland, to be at the vanguard of shaping what comes next, minimising the risks and maximising the opportunities. Two key opportunities that arise are for English law lawyers and the UK’s courts. 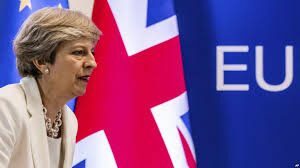 The judgement means Theresa May cannot begin talks with the EU until MPs and peers give their backing – although this is expected to happen in time for the government’s 31 March deadline. Brexit Secretary David Davis will make a statement to MPs at 12:30 GMT. During the Supreme Court hearing, campaigners argued that denying the UK Parliament a vote was undemocratic. But the government said it already had the powers to trigger Article 50 of the Lisbon Treaty – getting talks under way – without the need for consulting MPs and peers. It wants to do this by the end of March. The court also rejected arguments that the Scottish Parliament, Welsh Assembly and Northern Ireland Assembly should get to vote on Article 50 before it is triggered. Outside the court, Attorney General Jeremy Wright said the government was “disappointed” but would “comply” and do “all that is necessary” to implement the court’s judgement. 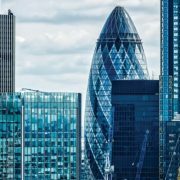 Corporate deals in the UK will continue to drop on last year in the wake of Brexit uncertainty, according to one law firm. 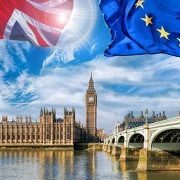 Baker McKenzie’s medium-term forecast report on M&A activity predicts that in the event of an “amicable separation Brexit will have only a modest impact on transactions in most of Europe”. However, the immediate outlook is less positive, with the report arguing that the value of deals this year would plunge by more than 60 per cent compared to last year, resulting in a total of about £102.5 billion. In the rest of the EU, however, the forecasters expect the value of deals to soar by almost 44 per cent to £376bn. 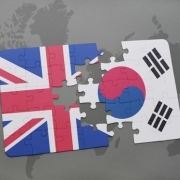 He added M&A activity should stabilise next year “as greater certainty emerges about the UK’s new relationship with the EU and the rest of the world”.